Price-bots can collude against consumers – The Economist. “One of the checks and balances of democratic capitalism is anti-trust. The idea that the free market is efficient, and produces the most people with the most things for the least money, depends on a few, large players not concentrating power and taking excessive profits. It’s why the Department of Justice broke AT&T up into regional operating companies — and why they prosecute organizations that collude to raise prices. But what if collusion happens automatically? As this Economist article points out, algorithmic pricing and online transparency may lead to monopolies despite our best efforts. Yet another robot apocalypse to worry about.” (Alistair for Hugh). The Window of Bacon Fat – Now I Know. “It ain’t Kosher, but it’s marketing. Every notice bacon looks like red meat in the store, but white fat in the pan? Turns out there’s a law because of that. When vendors tried to put their best side forward, they were hiding the greasy truth — and the government stepped in. Overreach? Antitrust? Or just consumer protection? Whatever the case, there’s a law about that package of bacon. Now if someone can just get an AI to fix it.” (Alistair for Mitch). Japan’s “Superhuman” Athletes – Reuters. “Oh, Japan.” (Hugh for Alistair). 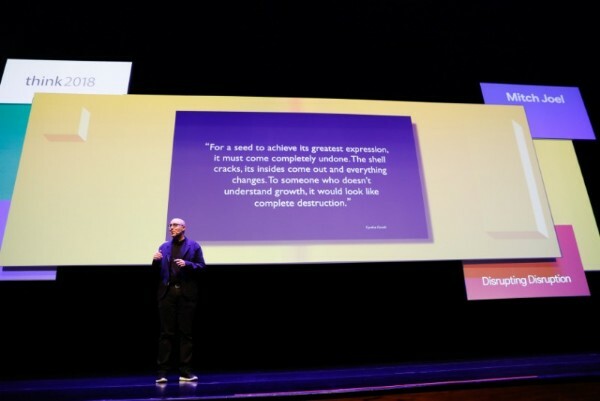 A Brief Rant On The Future Of Interaction Design – Worry Dream. “I like to read everything Brett Victor writes.” (Hugh for Mitch). Are You A Self-Interrupter? – Nautilus. “How do you feel about people who interrupt you in a conversation? It could be your kids, a work colleague, a parent or a friend. We all know one person like this (some of us know many people like this). They’re just not listening. They’re thinking of what they want to say now/next. What if we’re doing this to ourselves? All of the time. Do you hate yourself just a little bit more about now?” (Mitch for Alistair). These Powerful Art Illustrations Show How Backwards Society Really Is – Anonymous. “Maybe it’s my heavy metal upbringing, but I’ve always had a taste for art that is more subversive and obvious in pointing out our human flaws. The more it makes me squirm – or makes me feel uncomfortable – the more I can’t look away… and the more that I like it. He’s a slew of artwork that this will make you think twice. Promise. It’s very punk too.” (Mitch for Hugh).